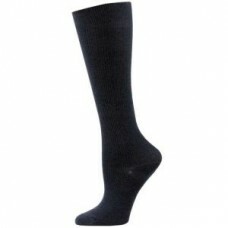 Navy Compression Socks in Bulk. The Solid Navy Compression Socks from Think Medical enhance circulation, provide support, and help relieve leg fatigue! Think Medical's compression socks feature gradient compression that delivers controlled pressure from ankle to calf in order to promote better blood flow throughout the lower leg. Wear these navy compression socks daily for lower leg support and enjoy the comfort of a non-restrictive band and built-in arch support. The gradient compression energizes tired legs, reduces muscle strain, relieves varicose vein discomfort, and prevents swelling. 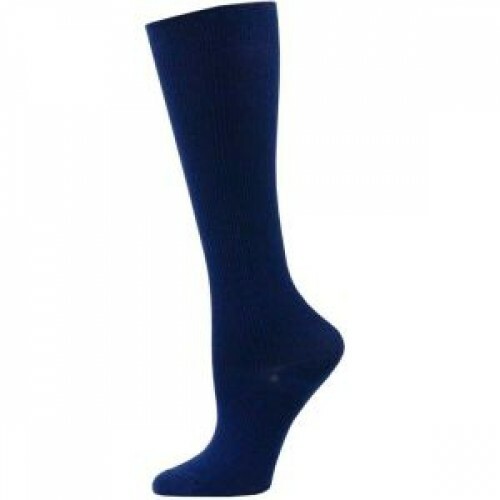 Solid navy compression socks are available in wholesale and bulk orders only. 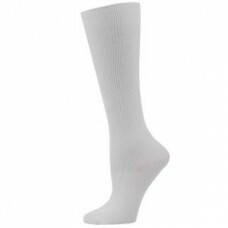 Premium Men's Striped Block Compression Socks in Bulk. Think Medical's Premium men's striped block ..